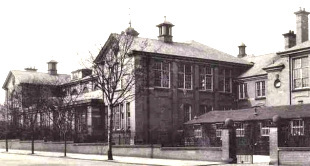 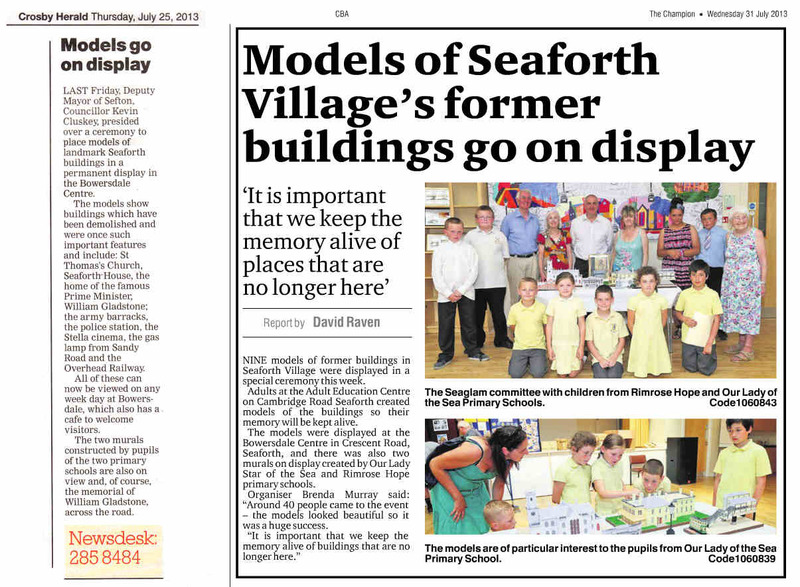 Funded partly by voluntary effort and partly by the Heritage Lottery Fund, the Seaforth Gladstone Memorial Project (Seaglam) is a charity with the aim of raising the profile of Seaforth, Merseyside by highlighting the rich history of this village established by the family of William Gladstone. 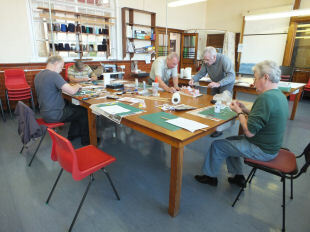 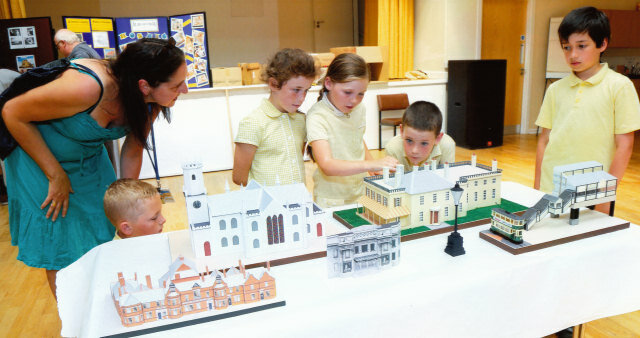 For a period of 10 weeks in 2013, the Seaglam Model Making Project provided an opportunity for local volunteers to learn new skills constructing scale models of significant buildings from Seaforth's history. Model design and tutoring were provided by Rob of Armada Model Designs Ltd at Waterloo College - formerly Waterloo & Seaforth Grammar School. 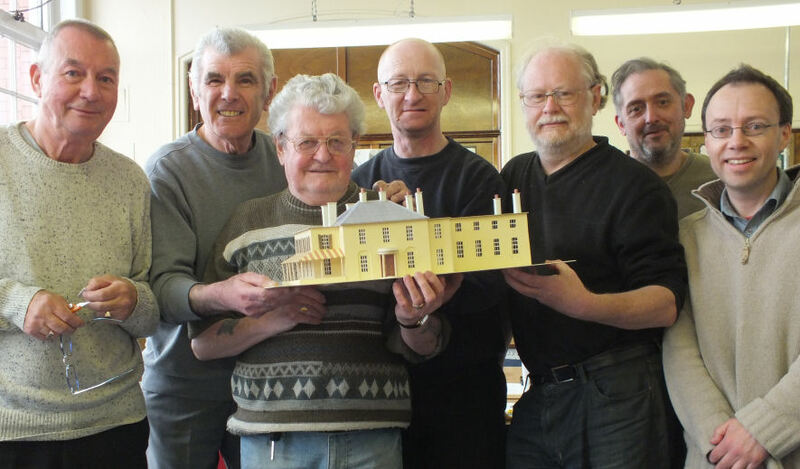 Seaglam model builders, from left to right: Tom Little, Jim Finn, Mike Murray, Andy Savage, Malcolm Terry, Dave Norton and Rob Cairns (Armada). 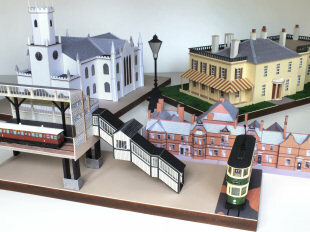 In total, six models were produced and each is detailed on its own web page as follows: St Thomas' Church, Seaforth House, Seaforth Sands Railway Station. 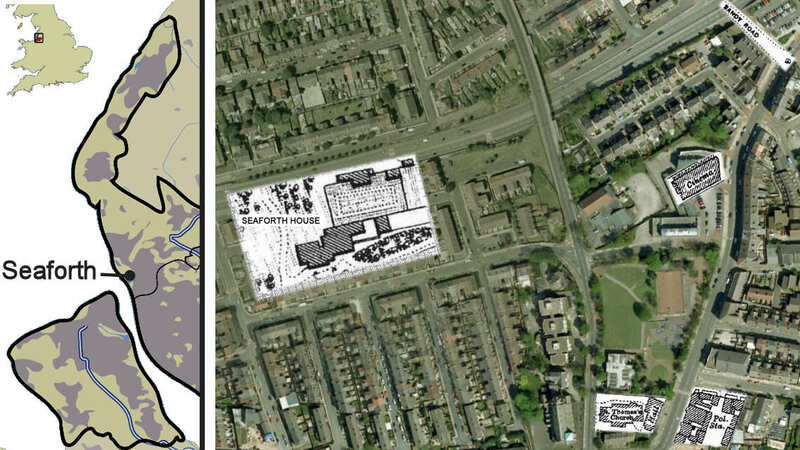 The web pages detailing Seaforth Police Station and the Stella Picture House have free kits to download and print out on a conventional printer. 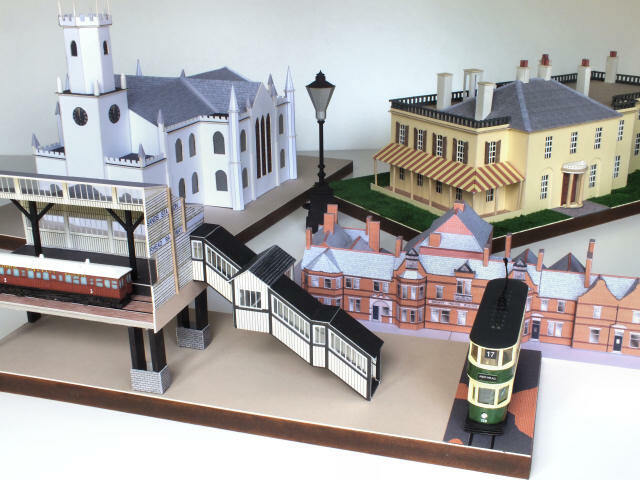 The web page describing the Sandy Road Lamp has a free 'STL' model to download and print out on a 3D-printer. 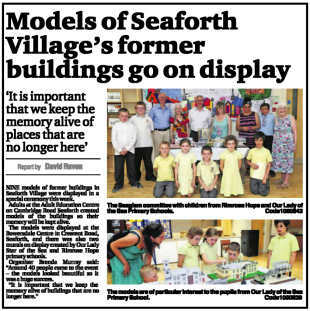 On Friday 19th July 2013 the Deputy Mayor of Sefton, Councillor Kevin Cluskey, presided over a ceremony to place the completed models on permanent display in the Bowersdale Centre, Seaforth.